For the first-time visitor to London who needs a general introduction to the history and geography of the city, a panoramic tour is the ideal ‘taster’. Travelling in a car, this 3 -3 1/2 hour tour covers both parts of Central London: the City and Westminster. As we see many of the most famous and beautiful sights in London, we will cross the Thames by many of its famous bridges. As we travel, I will tell you how the city was founded and how it grew, about the events and people that created its architectural appearance and about those who live in the city today and how they spend their leisure-time. 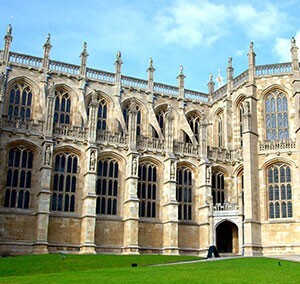 We’ll stop at several of the classic sights of London including at Buckingham Palace, Westminster Abbey, St. Paul’s Cathedral and the Tower of London, next to its famous Bridge neighbour. There will be the chance to take photographs that will make unforgettable souvenirs of your visit. If, after this introductory tour, you’d like to get to know either or both of the City or Westminster better, I can offer ‘in depth‘ tours of either or both, where we will proceed on foot so that you can get closer to the stones, sights and sounds of London and make a real connection with its histories and stories. Pick-up will be at your hotel. This tour lasts between three and three-and-a-half hours (which will include a comfort & refreshment break) and may be made in the morning or afternoon. A morning tour can be combined with a more specialised afternoon tour – perhaps a City of London or Westminster walk or a museum visit: please browse the options available. Drop-off will be at a central London location of your choice and I will provide advice on travel options or further activities and places of interest in the area. There will be an additional charge for the vehicle and driver for this tour, which will depend on the size and type of vehicle required.